What do you do when you’re sick, your eyes are watery, and your nostrils can’t even collaborate? You pull out your iPad, open up Paper 53, and get to work! 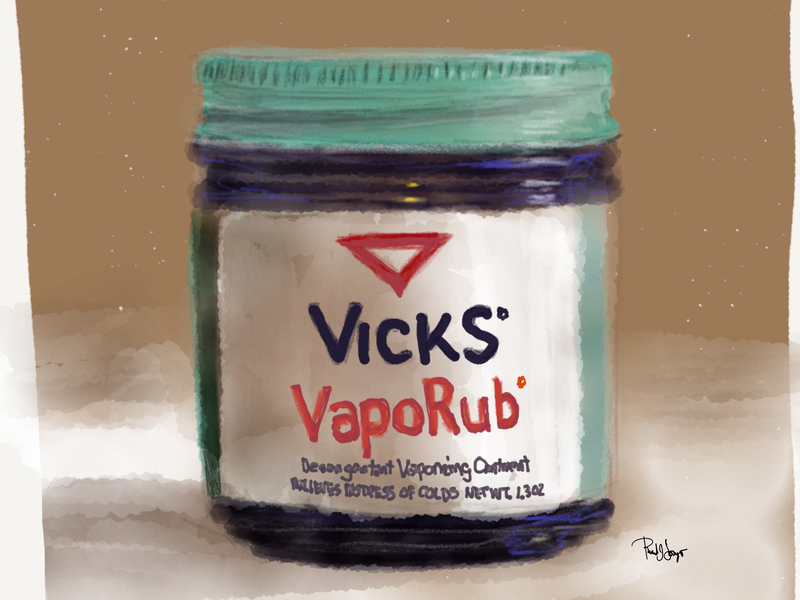 This entry was posted in Digital Artwork, iPad Art, Sketches, Video and tagged Common cold, madewithpaper, modernity, nostrils, Paper 53, Paper by Fifty Three, Pharmaceuticals, vaporub, Vicks Vaporub by portfoliolongo.com. Bookmark the permalink.